I absolutely love having people over to our house. Whether it’s for dinner, a small birthday celebration or a full-on Super Bowl party, there’s nothing I like better than an excuse to spend time with people I love. 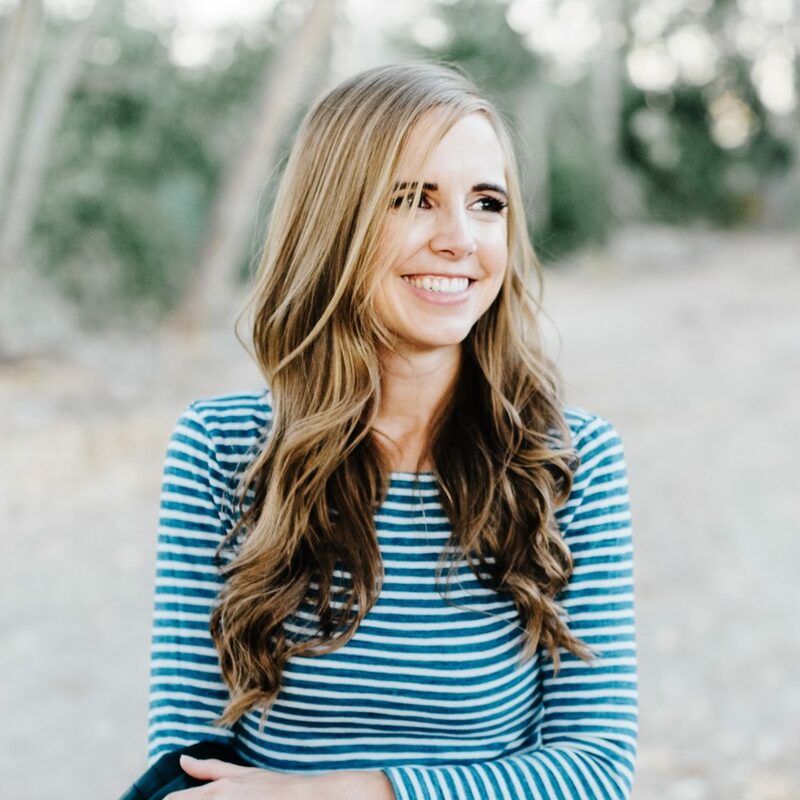 I’ve also got a lot of other things going on in my life, so I can’t spend weeks prepping to have people over or dedicate any mental space to stressing about it, so I’ve picked up some tricks that make it easier and more fun to be the hostess. Whether you’re hosting a Super Bowl Party this weekend or just want to tuck these suggestions in your pocket for your next party, I hope you’ll find them helpful! I like last-minute as much as the next person (possibly even more! ), but there is nothing more stressful than leaving that trip to the store for essentials until the last possible moment and you find yourself in the checkout line cursing every person ahead of you. It makes it so much calmer if you can make that store run for all your party essentials, from food to paper products to Febreze (no one wants a smelly party house! ), and get home without risking a speeding ticket. Plus, you don’t risk a party nightmare situation like the one in this funny Super Bowl ad from Febreze. I like to go shopping the day before if possible, but even the morning of the party is a thousand times better. When I get home I put everything where I need it for the party, even if it’s not yet unpacked – paper plates and cups on the table, decorations in the rooms that are getting balloons or streamers, and extra toilet paper and Febreze in the bathrooms. Then I can easily see what needs to be set up before party time arrives. Basically, preparation makes all the difference (this is a life truth you’ve probably never heard before this moment). Most of the time, guests are going to ask if they can help in some way. Don’t be a martyr! Ask someone to pick up a couple of bottles of soda or hamburger buns or a dessert they’re famous for (I’ll tell you what, the times someone has asked me to bring a specific dish that I’d made before and said, “That jalapeno popper dip was so amazing – I was hoping you’d bring it to our party” – that was a day that I felt like a million dollars). Similarly, when the party is over and people offer to help clean up? Take them up on it. Let them take out the garbage or gather up napkins and cups that have been left around the living room. I always feel like that after-party time can be one of the best times to really feel connected with your guests who stay behind and makes for great memories. Sure, those Pinterest parties make it look like everything from the invitation to the decorations to the food have to be big and fancy, but most of us live on Planet Real Life and don’t have the time, energy or money for that. Decide what YOU like to do – whether that’s a couple of amazing food dishes or some big decor like a balloon arch or a major activity – and then keep everything else simple, whether that’s take-out food, plastic dishes, a texted invite, or zero decor. (And if you decide there is NOTHING you want to go big on? I support that too. Chips served in the bag for everyone). This is really the most important party tip ever, I think. Last year, Bart and I were invited to a fun sporting event and they gave us two extra tickets, so we invited some dear friends to come along with us. It was a pretty long drive (nearly an hour) and when we arrived, they’d forgotten to put the tickets aside for us and the person who had invited us was unavailable and after about 15 minutes of phone calls, it was 100% clear there was no way we were getting in. I was completely embarrassed, but these friends laughed like it was the best joke ever and suggested we go get ice cream and said they’d come to hang out with us, not to attend the event. And THAT is the kind of people you want to invite over. The ones who you’ll have a good time with no matter how your food or decorations turn out. That will still like you if you’re having a Super Bowl Party and your TV dies and you end up watching the game on someone’s smartphone. 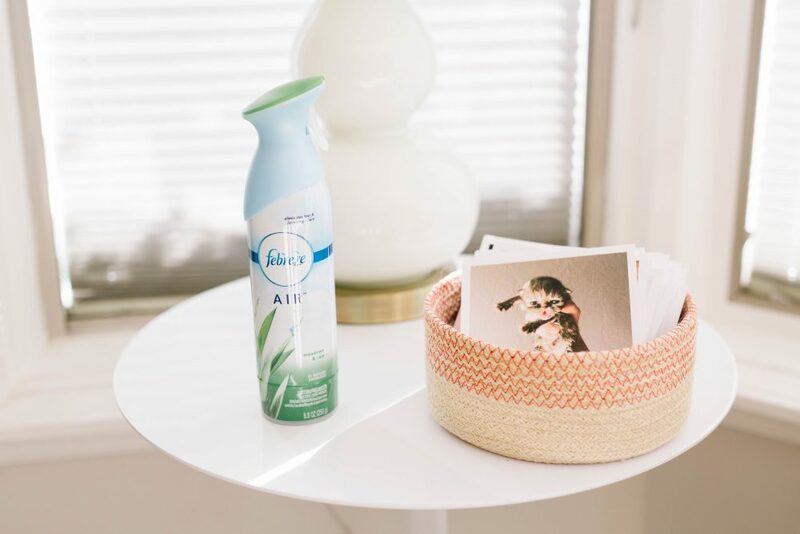 I love anything that gives you a lot of bang for your buck, and when it comes to hosting a party, I feel like nothing does that better than some good music and Febreze. When you walk into a house that smells amazing and has fun music playing, it really feels like a PARTY. 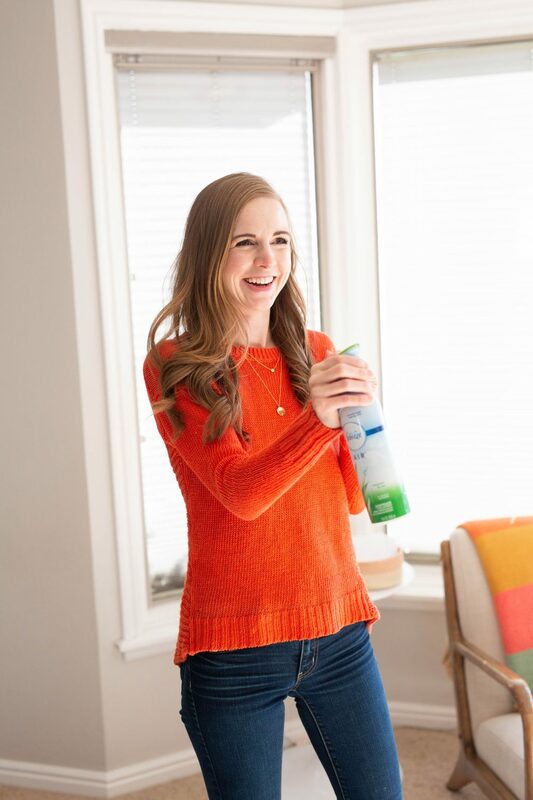 Even if you’re still frantically vacuuming in the living room, having some happy music going and a fresh-smelling house makes it feel like you’re bringing your hostess A-game. And especially if you’ve been cooking all day, Febreze will save you – and your home – from all of those strong smells that might not all play nicely together. Once the party is started and people start arriving, zip your lips about anything negative about your house, your food, your decor, or anything else. People came to spend time with you and have fun – they don’t want to feel like they’re stressing you out or that you’re wishing you hadn’t even HAD a party in the first place. And for sure, nobody except you cares that the cookies don’t look quite perfect or that you only have two dips instead of three. 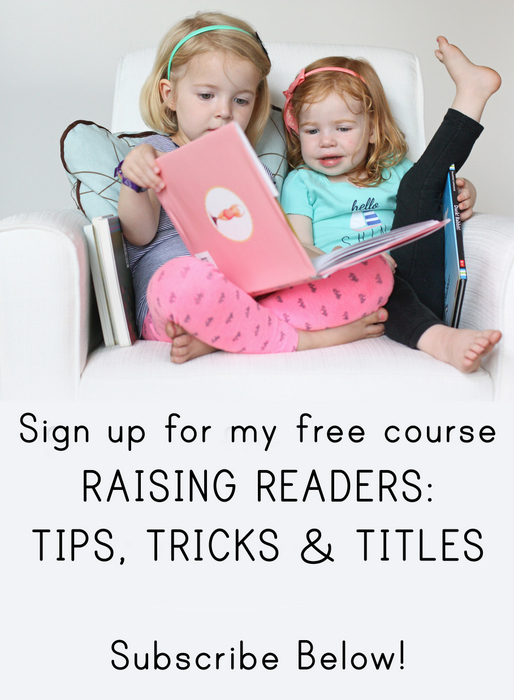 I’d love to hear your best tips for making it easy to host anything! 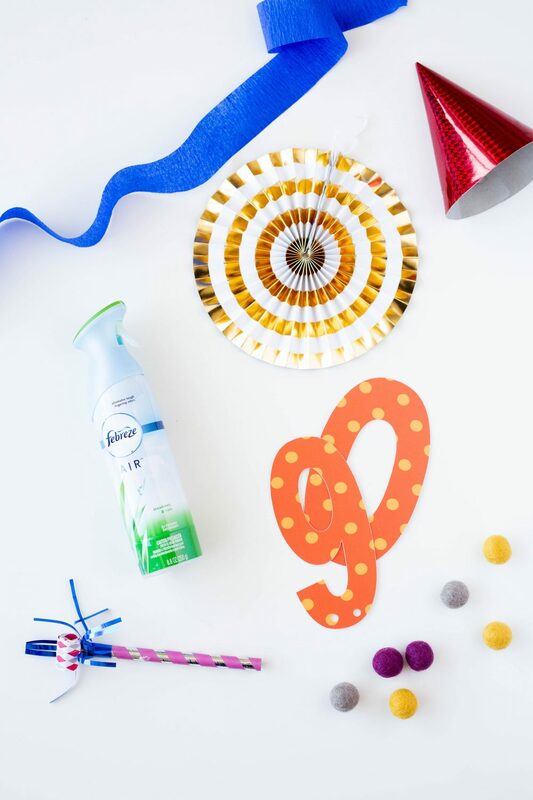 And whether you’re hosting or attending a Super Bowl party this weekend, don’t forget the Febreze!